When Nagasaki was the only port in Japan open to foreign trade during the Edo period (1603–1868), the town of Higashisonogi was located at the important intersection where the Nagasaki Kaido road connecting Nagasaki to Edo (Tokyo) met the Hirado Kaido road linking Hirado to other regions in Kyushu. It was a vibrant post station town through which many people passed, including feudal lords heading to and from Edo due to the alternate-year residence policy as well as Dutch traders. The female trader Ohura Keio first exported tea from Nagasaki to the United States in 1853, based on orders from a British tea trader, which marked the beginning of the tea export business in Japan. In recent years, tea distribution and trends in tea consumption have been constantly shifting, as represented by the appearance of convenient products like tea beverages in plastic bottles. The tea market has developed somewhat in a state of chaos. 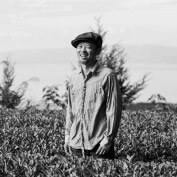 To bring about change in this market, a young generation of tea farmers from old tea-growing families came together to build the future of the region in a completely new way. They are the Tsunagu Sonogi Tea Farmers. 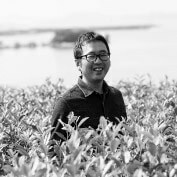 While looking back at the historical context of how tea was transported to Europe by the Dutch East India Company, this new generation of six tea farmers in Sonogi aspires to create fresh possibilities for tea. On the plateau in Higashisonogi overlooking Omura Bay sits a tea plantation of approximately 400 hectares. Producing 750 tons annually, it accounts for 60% of the entire tea in Nagasaki Prefecture and is one of the major tea production areas in the whole of Japan. 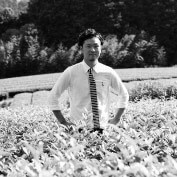 Sonogi tea is carefully managed, such as cultivating soil in the ideal way for growing organic tea crops and producing tea leaves suitable for steamed tamaryokucha (fine Japanese green tea) by developing facilities that adjust direct sunlight in order to extract the umami taste from the tea. These efforts result in a profound, well-rounded flavor as well as scent that have been highly praised for their quality. Situated in the middle of Nagasaki Prefecture and facing the beautiful Omura Bay, the town of Higashisonogi, where Sonogi tea is produced, is known for its agriculture, including tea, strawberry, asparagus, orange, and rice, along with a vibrant fishing industry. 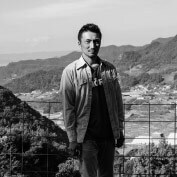 In recent years, the area has partnered with a European tour provider called Green Tea Rhythm to offer stays at the homes of tea farmers, receiving acclaim on a par with visits to the Kyoto and Mount Fuji regions. the world with new ways to make and enjoy tea. These six farmers are just like us. Our first-class varieties of tea are made from cultivars selected based on their excellence. the world with new ways to make and enjoy tea. These six farmers are just like us. With our motto of “making tea to connect people and soften their hearts,” we diligently produce tea in our family factory while avoiding undue stress on the tea plants and paying attention to the environment. 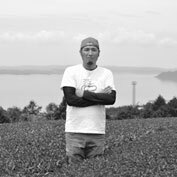 We are searching for a new kind of tea farmer for a future in which tea from Nagasaki is enjoyed overseas and local tea producers are able to make a steady supply of quality tea. By sticking to manual cultivation as much as possible, our unique, warm taste is born in tea that is carefully rolled pan by pan. We hope to make tea that is a true delicacy, giving cheer to people’s lives while also responding to changes in Japanese lifestyle and deepening partnerships with both domestic and overseas manufacturers in ways that go beyond the regular role of the tea farmer. We use an organic fertilizer that we mix ourselves and cultivate tea varieties suited to the local soil. We roll the tea leaves carefully and deliberately so as not to break them during the production process. While tea consumption in Japan today is in decline, Sonogi tea has a lot of potential if our passion can be conveyed to consumers. 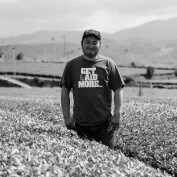 With confidence and pride as tea farmers, we continue to make efforts to pioneer the future of tea. With environmentally friendly agriculture at our core, we pay close attention to soil cultivation that is good for the land by using a uniquely mixed organic fertilizer several times a year. While green tea consumption in general is in decline, we want to communicate the yearlong process of how green tea is produced as well as our scrupulousness by organizing workshops in order to establish the distinctly superior character of our tea. Through these new initiatives, we hope to build partnerships not only with other tea farmers but also people from different industries. With our use of originally blended organic fertilizer as well as special steaming method, we express a rich taste and aspire to make a truly unique tea. As a brand, Sonogi tea has become increasingly recognized in the domestic market through our workshops. Acknowledging the region’s history of exporting tea, we aim to make tea not just for the Japanese market but also overseas. We think that soil cultivation using our original organic fermented fertilizer should be our primary concern. Choosing the right control carefully for each tea field, we change the way of steaming the tea leaves and the manufacturing process according to the year. Whilst there is a boom of green tea abroad, we would also like Japanese people to know about the real taste of green tea from a tea pot, taking the time as people do to make coffee and black tea. Originally farmers grow tea by planting seeds in soil and cultivating the buds. Our first-class varieties of tea are made from cultivars selected based on their excellence. The compatibility with the soil differs from tea to tea, creating unique flavors and aromas for each variety. The following are our Six premier teas. 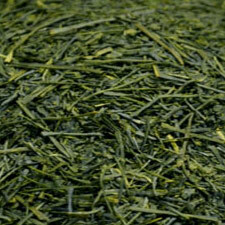 What is generally known around the world as “green tea” is sencha, the standard type of ryokucha (green tea). 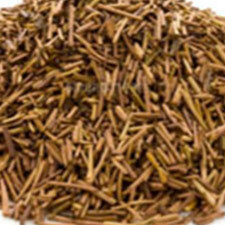 Bancha contains very little caffeine and is widely recommended in the European macrobiotics scene. This popular tea with a distinctive aroma is widely consumed at home. 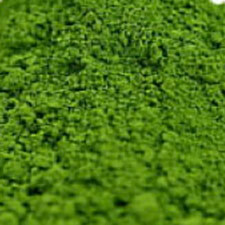 Traditionally used in the tea ceremony, matcha powder today attracts international attention for the new potential it offers in food and drink. 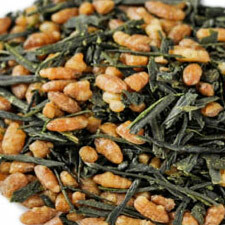 Green tea in Nagasaki means mushisei tamaryokucha! The steaming process creates a mild yet deeply flavored tea. Similarly to bancha, hojicha is suitable for drinking at night due to it's low levels of caffeine. 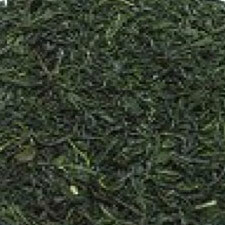 Pan-frying adds fragrance to green tea! Kamairicha was a popular choice during the Edo period (1603–1868). 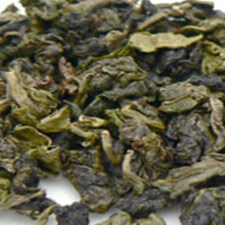 Also known as Chinese tea, oolong tea is grown in Sonogi. 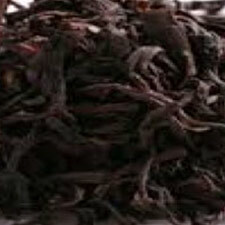 The tea that is most popular in Europe and around the world is also produced in Sonogi. Tea tastes better when brewed the right way. Making tea correctly extracts the flavors even more. Try brewing tea by the method below in order to learn how to enjoy Japanese tea. 1 Bring water to boil. Soft water is preferable. 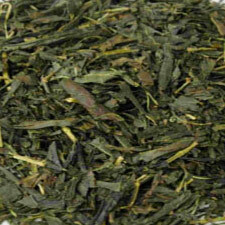 2 The recommended amount of leaves is around 4g (one tablespoon) per cup. When preparing more than one cup, multiply the amount by the number of cups. When preparing just a single cup, use slightly more leaves (5g). For more than one cup, use less (3g per cup). 3 Use between 50cc and 70cc of water per cup. Cool boiling water down to the right temperature (around 70 degrees Celsius, 158 degrees Fahrenheit) by pouring water into an empty cup or using a yuzamashi (water cooling pitcher). 4 Put the leaves into a teapot and pour water over the leaves. Place a lid on the pot and wait for one minute. 5 After one minute, check the condition of the leaves. When pouring in the hot water, the leaves will ﬁrst sink down but then rise to the surface once they open up. Then delicately pour the tea into a cup. 6 One of the key parts of brewing a cup of tea that is full of ﬂavor is to make sure to drain the pot of even the very last drop of tea. 7 Draining the pot entirely enhances the ﬂavor of the second or third round of brewing. 8 For the second, third and fourth rounds of brewing, the best water temperature is between 80 degrees Celsius (176 degrees Fahrenheit) and 90 degrees Celsius (194 degrees Fahrenheit). This time the tea is ready soon after you pour in the water. Bring water to boil. Soft water is preferable. 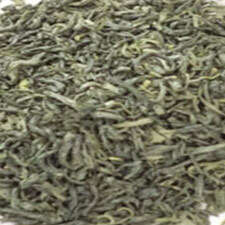 The recommended amount of leaves is around 4g (one tablespoon) per cup. When preparing more than one cup, multiply the amount by the number of cups. When preparing just a single cup, use slightly more leaves (5g). For more than one cup, use less (3g per cup). Use between 50cc and 70cc of water per cup. Cool boiling water down to the right temperature (around 70 degrees Celsius, 158 degrees Fahrenheit) by pouring water into an empty cup or using a yuzamashi (water cooling pitcher). Put the leaves into a teapot and pour water over the leaves. Place a lid on the pot and wait for one minute. After one minute, check the condition of the leaves. When pouring in the hot water, the leaves will ﬁrst sink down but then rise to the surface once they open up. Then delicately pour the tea into a cup. One of the key parts of brewing a cup of tea that is full of ﬂavor is to make sure to drain the pot of even the very last drop of tea. Draining the pot entirely enhances the ﬂavor of the second or third round of brewing. For the second, third and fourth rounds of brewing, the best water temperature is between 80 degrees Celsius (176 degrees Fahrenheit) and 90 degrees Celsius (194 degrees Fahrenheit). This time the tea is ready soon after you pour in the water.